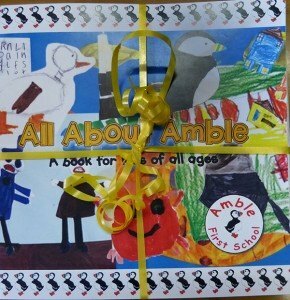 Amble First School are hugely excited about the publication of their fabulous new book “All About Amble”. The book was written in response to an invitation from Bailiffgate Museum in Alnwick to get involved in a local history project with a focus on our town. Supported by the Heritage Lottery Fund and volunteers from Bailiffgate, the school knew exactly how to approach the challenge. 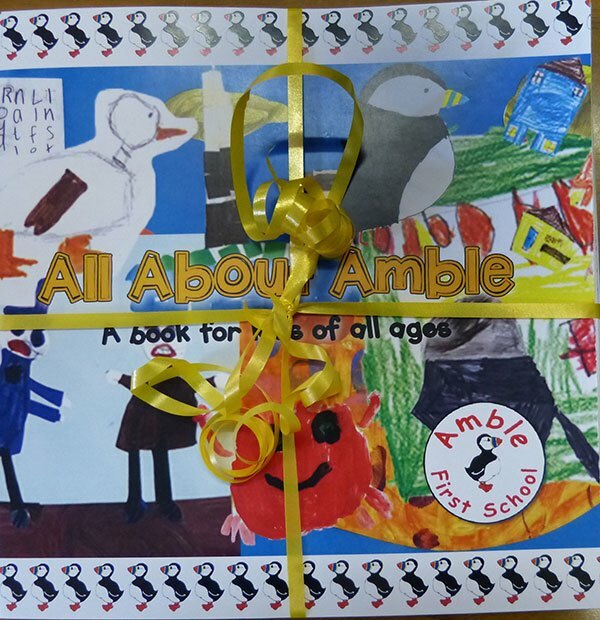 Books and information about Amble that are child friendly are difficult to find, so the plan was to address that need, not only creating a tremendous learning opportunity for current pupils but also creating a resource for years to come that would be easily accessible to other young learners and schools – a book that was by children, for children! Headteacher, Joyce Jenkins describes how the school felt about the project “ This was a tremendous opportunity to take part in a really meaningful project which had benefits for both the school, the town and beyond. The school bases much of its work in the local environment so in the autumn term, all classes enthusiastically engaged in finding out about aspects of the town, researching old books and documents, exploring the area and talking to local people about the past. A coffee morning, run by Year 3 generated even more interest from the community. Children created text and art work, tables and diagrams and collected archive materials relevant to their studies, which were all turned into beautiful pages by local designer Colin Harris. It is a fascinating and informative piece of work, bright, cheerful and easy to read. Every child in the school has contributed something to the book and every family will receive a copy of their own.